8 Hanging Floral Installations that will make you Gasp! Wow your guests with a stunning suspended floral feature. Hanging installations are flourishing worldwide, and it’s no wonder: a little floral finesse can make a big impact! 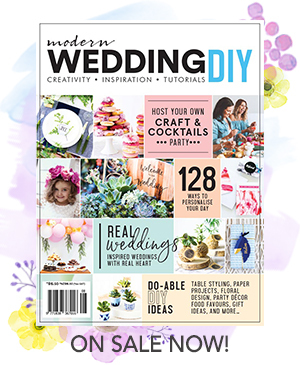 When researching for Modern Wedding Flowers magazine, we came across so many beautiful floral features that we couldn't possibly fit them all into one magazine. Too good not to share, we decided to create this bonus gallery of images! Floral stylists work in full three-dimensional sensory surround, so details and spaces that you may not have even considered, like the ceiling, are their playground. Be it an outdoor space that could use a little intimacy or an indoor area that requires some artistry, a hanging floral feature adds colour, texture and style to all things above. When centred over the bridal table, it can act like a frame, drawing the guest’s eyes to the couple. When placed intermittently above tables, hanging features work in concert with the table arrangements to create a beautiful symmetry, injecting an additional punch of flowers and foliage for a result that is positively magical. When paired with other elements like lighting or votive candles, suspended floral features really come into their own. A suspended masterpiece in the centre of the room adds atmosphere and mood, drawing guests in towards the celebration and making an incredible backdrop for photography. If your venue has any walls that are less-than-ideal, then it could be an opportunity to add some blossoming beauty to the space. A floral wall or multiple suspended floral arrangements hung in frames can liven up any space and make any wall a highlight. If you’re keen to add some crowning glory to your celebration, then let your floral designer know. The sooner you discuss it with them, the sooner they can begin to create a bespoke arrangement that’s uniquely you. For more floral styling tips, check out the full article in the latest edition of Modern Wedding Flowers magazine.